Contrary to what people believe, a person can have more than one soul mate in their lifetime. A soul mate is a special friend because you understand each other and share feelings and interests, and mostly our soul mates turn out to be our spouses or lovers. 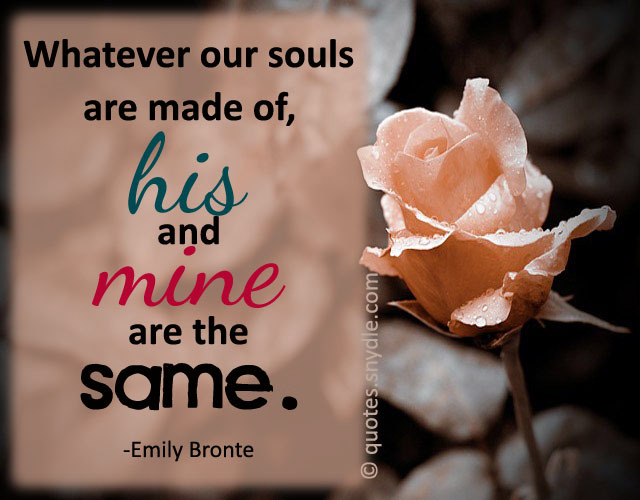 A soul mate is someone who understands us so well that it is as though they see through our very soul. 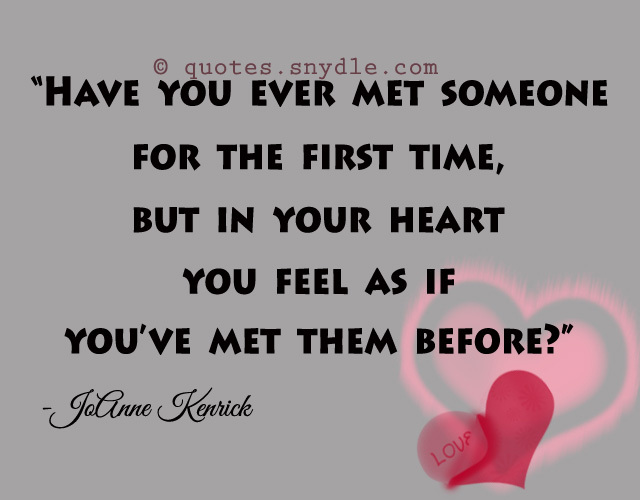 Finding one’s soul mate is a gift of life. 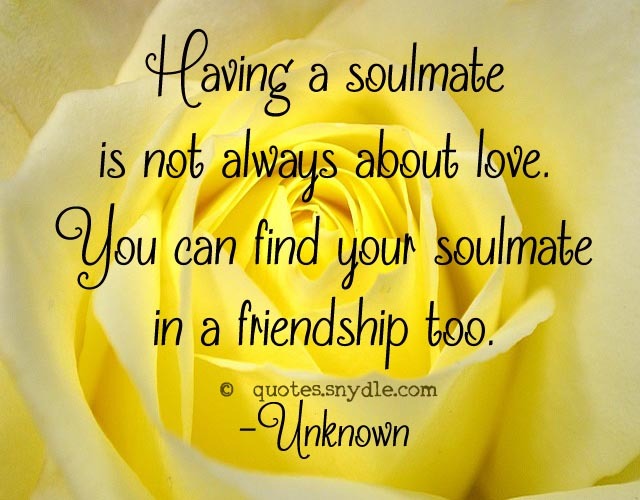 Even though not many people get this chance to find their soul mate and so settle for what the think is the next best thing or person, even that person can eventually become your soul mate if you care to work hard at the relationship. 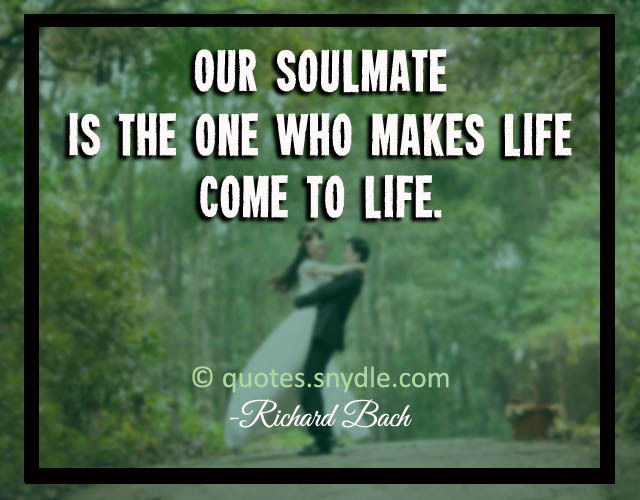 When you read through quotes written by famous people, authors and every day simple folk you will find the inspiration to know that whether or not you meet your soul mate in your life time you can still live a rich life. If you are searching for your soul mate you can get inspired by the quotes to hold on and never give up in your quest, and if you already have found your soul mate you can learn how to make your relationship richer and more fulfilling for both of you. 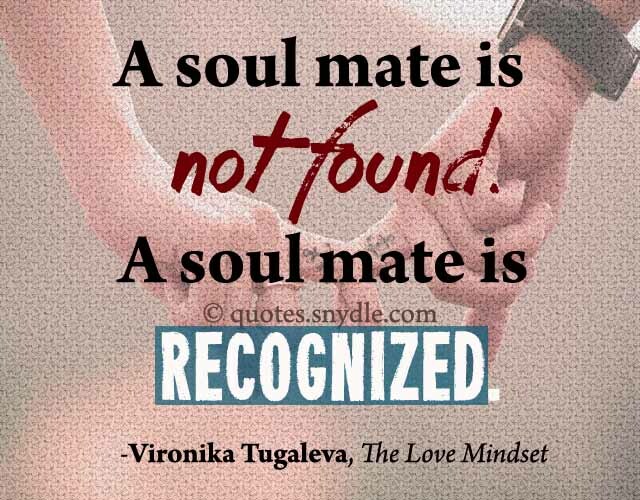 A soul mate is not found. 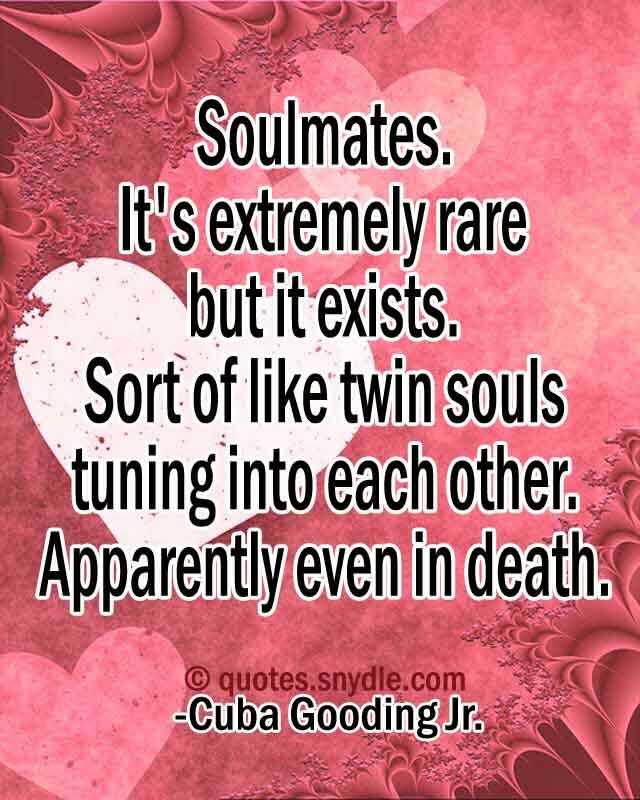 A soul mate is recognized. 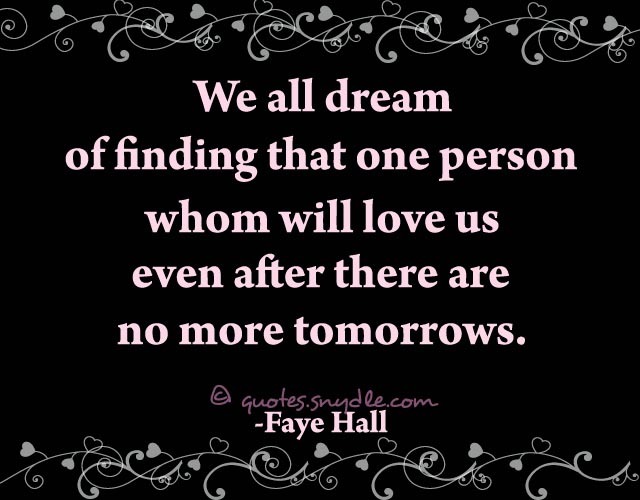 We all dream of finding that one person whom will love us even after there are no more tomorrows. 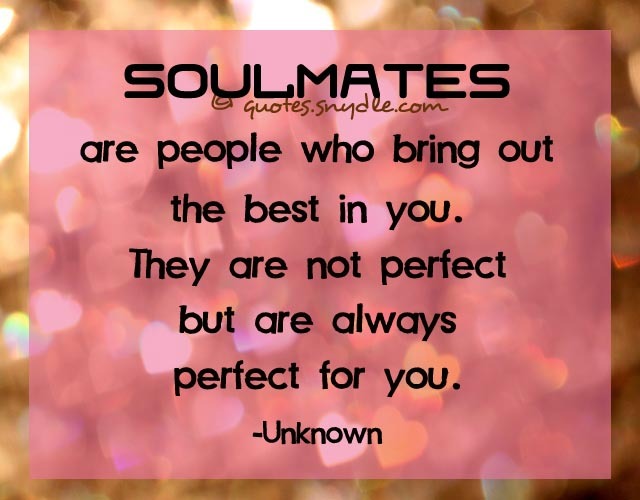 Soulmates are people who bring out the best in you. They are not perfect but are always perfect for you. Having a soulmate is not always about love. You can find your soulmate in a friendship too. We’ve got a special bond that’ll never break cause darling you and I are soulmates. Soulmates. It’s extremely rare but it exists. Sort of like twin souls tuning into each other. Apparently even in death. 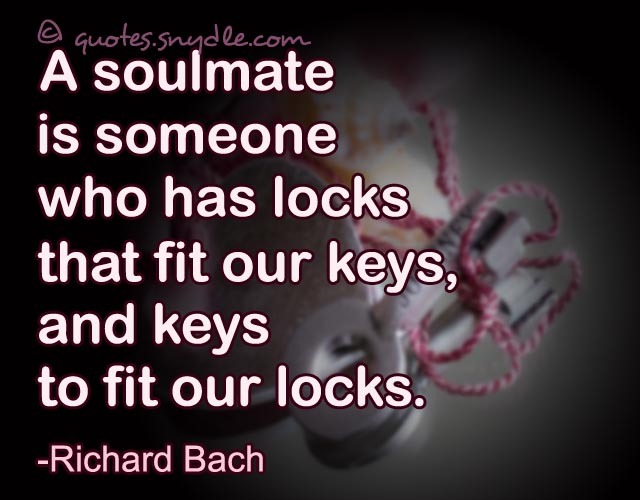 A soulmate is someone who has locks that fit our keys, and keys to fit our locks. 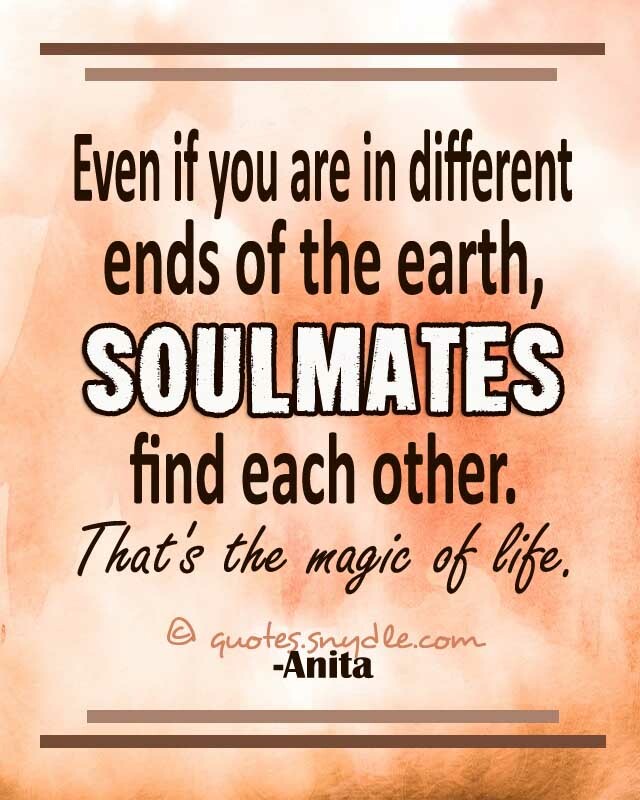 Even if you are in different ends of the earth, soulmates find each other. That’s the magic of life. 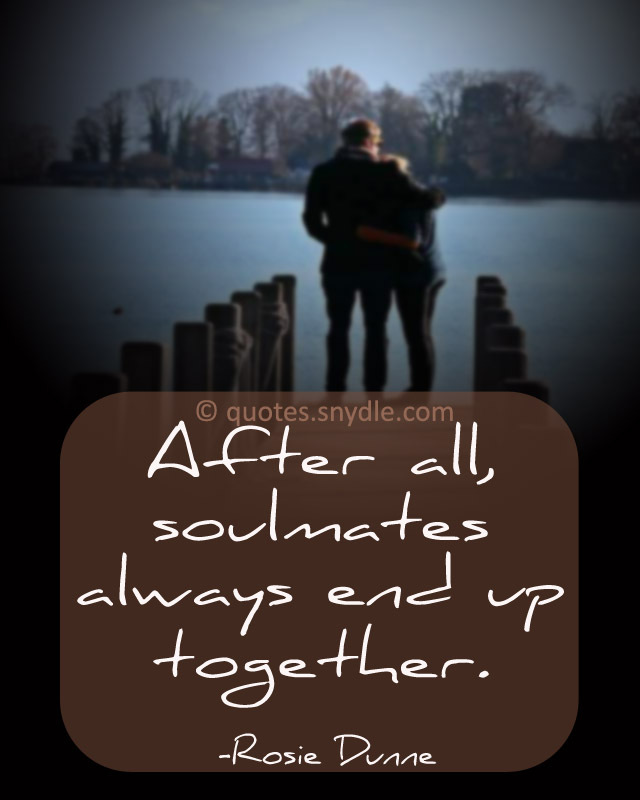 Eventually soulmates meet for they have the same hiding place. 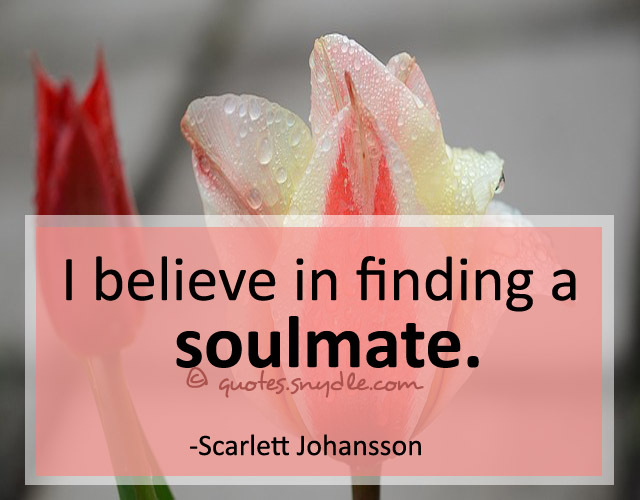 I believe in finding a soulmate. Some people spend all their lives searching for their soulmates. And then my soul saw you and it kind of went “Oh there you are. I’ve been looking for you. Soul mate is a mirror, the person who shows you everything that’s holding you back, the person who brings you to your own attention so you can change your life. What we find in a soulmate is not something wild to tame but something wild to run with. Through all the challenges life may throw at us; let’s not forget that we are soulmates… companions… individuals… divinely fused together by the immeasurable power of love and that we can get through it all as one. 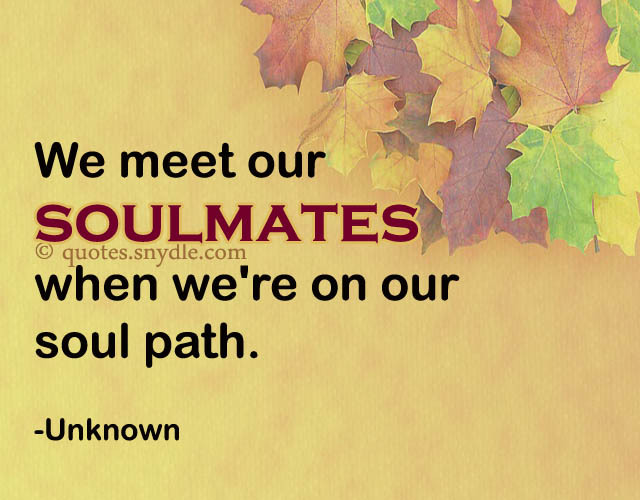 A soulmate has the capacity to push you towards an emotional, mental and spiritual growth. Your soulmate is the person who mends your broken heart, by simply giving you theirs. It wasn’t an infatuation love like you see in junior high school. They were soulmates. Either way, we’ll ride out together. That’s how it is with soulmates. That’s just what they do. Hot coffee and cold winter mornings are two of the best soulmates who ever did find each other. Soulmate, a person for whom one feels a deep physical, mental, emotional and spiritual connection. A connection of mutual affinity between people which cannot be expressed in words.